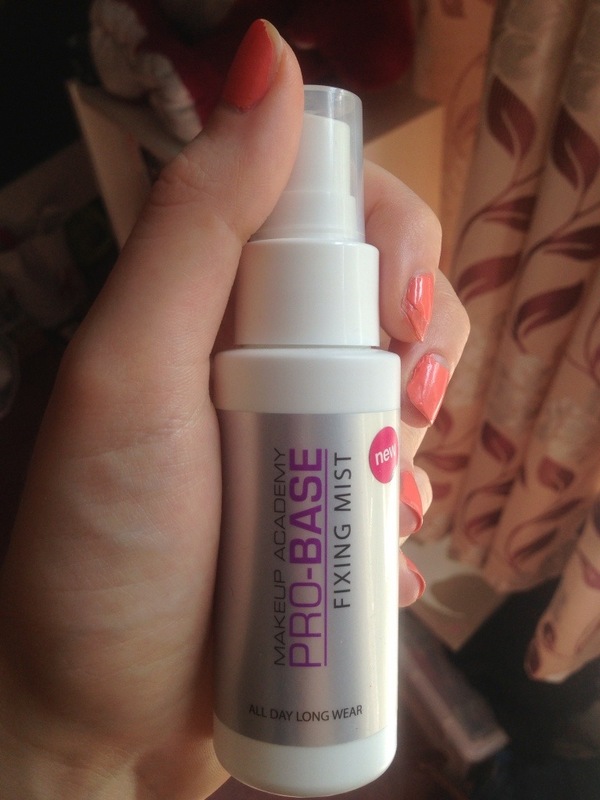 Summer Favourite: Makeup Academy Pro-Base Fixing Mist | Becky Alyssa's Beauty Box. As perfect & wonderful as this gorgeous long-overdue sunshine is (known to some Brits as the ‘effing heatwave’), it can get a little uncomfortable & sweaty, especially when outdoors or sat in traffic in a car without air-con. Even more so when you have a face full of makeup and don’t want to end up looking like the Joker on a bad day. I’d tried the E.L.F setting spray before, but it smelled horrible, the spray was useless and it really didn’t do anything for me at all. I bought this a few months ago in the cooler weather and while I didn’t initially notice a massive difference in my makeup’a lasting power, it’s become one of my must-have products for particularly humid days. After applying my makeup I spray this 3 times on my face from 12″ away. The fine spray doesn’t drench my face and actually cools my skin down a little when it’s hot out. After using every day for the last few weeks, this really does give my makeup some impressive lasting power from sweat (gross but we all do it) as well as humidity, so I don’t keep having to apply powder and touch up anywhere that’s greasy or smudged. One application in the morning keeps my makeup looking awesome all day – I’d definitely recommend it to anyone struggling to keep their makeup looking good in the heat. And £5 from Superdrug really isn’t bad either. This entry was posted in Uncategorized and tagged mua, summer. Bookmark the permalink.